The Living World, part 1 Plant features, animal features, classification, and what is ‘living’ anyway? The week following our wonderful Halloween party, we started our course on The Living World. 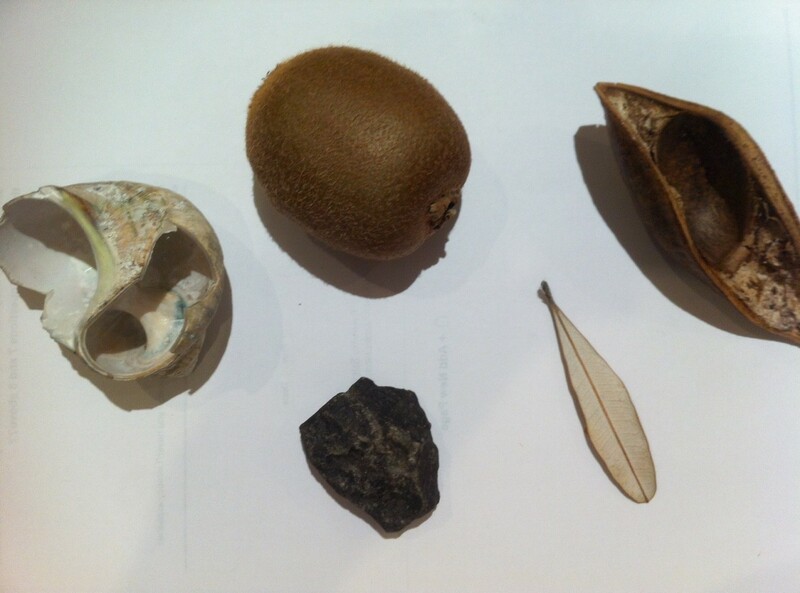 The younger group, meeting at 10 am, started by sorting natural objects into those of plant origin vs animal origin. We have done this in classes before. I think in the future I would have far more objects to sort, and try not to ‘lead’ the ensuing discussions quite so much. I had accidentally included a rock, which ended up in one of the boxes because the children thought maybe it had a fossil in it, but we then decided it should have its own box for things that are natural but not living. We talked about plant features and animal features and I provided some cards which the children also sorted into boxes. I asked them if they could think about special features of plants that animals don’t have. We started to talk about food but I didn’t tell them the ‘answer’. I said I’d love them to think about it and I’d ask them again in a few weeks. I provided some cards with pictures of different minibeasts and facts about them, and they tried to work out how to sort them into groups. It was interesting that the children focussed in on lifespan. I am so used to biologists using external features as criteria for classification that I really didn’t expect the children to focus in on lifespan and I didn’t have a good reason for why we don’t do that! We talked about going on bushwalks (in preparation for next week) and I asked them what they should think about in terms of being sensible and being protected from the weather or other dangers in the environment. Towards the end, one child asked if I’d prepared anything for them to make. I had prepared some printouts for a Life Science lapbook. 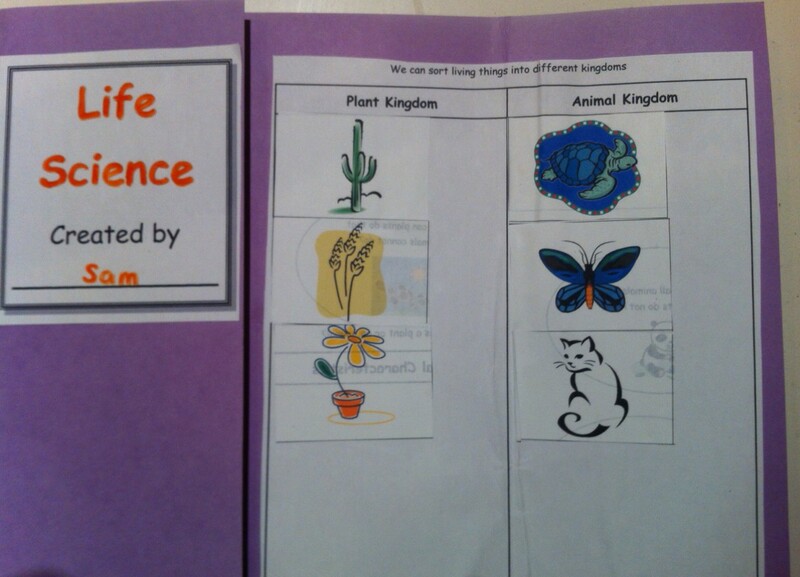 Those children who wanted to, took some pictures that they could sort into two columns: Plant Kingdom and Animal Kingdom. In future weeks we can add to this and it will provide a record of some of the work the children have been doing. The next class, at 11:15, ranged in age from 6 years to 10 years but we were trying to focus on KS2 work. 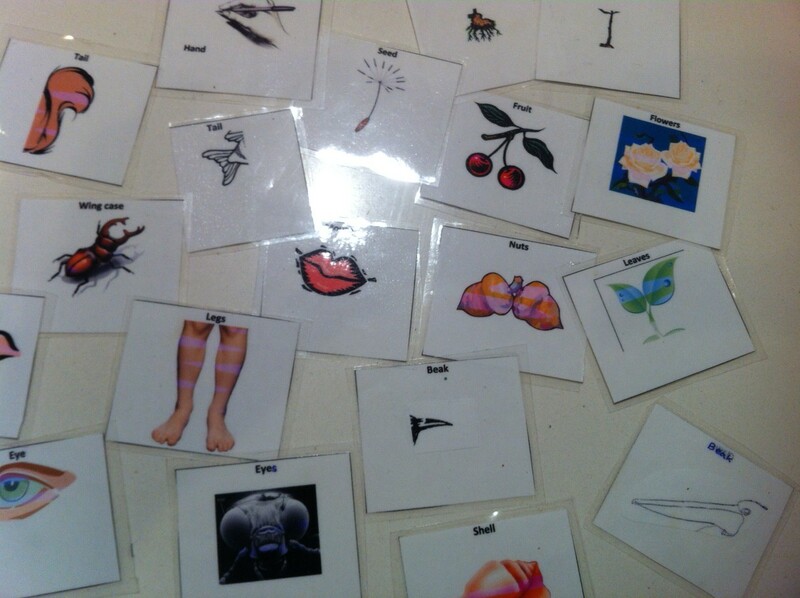 I provided some cards with pictures and the children had to sort them into living or not living. Based on their sorting, we tried to list the criteria for being ‘living’. 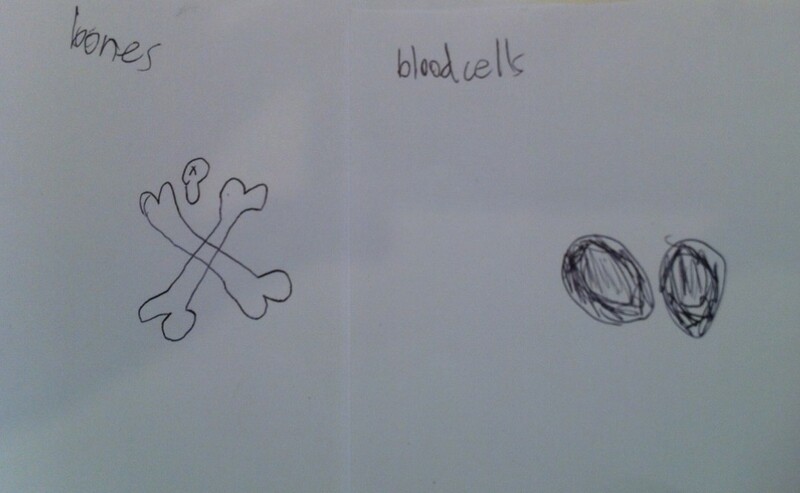 There was some discussion about whether specialised cells, such as a red blood cell, were living or not. We decided they were not. Cells from multicellular organisms need first to be joined together to form organs and then several organs are part of a whole organism. Only the complete organism can grow, feed, move and reproduce (which were the criteria they had come up with, so far, to define living). Do plants eat food? There was some discussion about whether plants needed ‘food’ or not. I decided this warranted a debate, so I asked the group to physically split into two, depending on whether they thought that plants had food or whether they didn’t. I asked them to try to persuade the people from the other group to join their group. I can’t remember where I got this idea from, but I like the physicality and having to actually move across the room if you change your mind. I also think it’s a great way to try to get the children to really think about their reasons for taking one side or the other. During this mini debate, we discussed how plants get their energy from the sun, and even threw up the term ‘photosynthesis’. At some point in the class we also talked about viruses needing to appropriate the DNA replication facilities of other cells, and hence not being counted as truly ‘living’. As I mentioned above, the children ended up with about four criteria for being ‘living’ but I think we will return to that another week and see if these criteria are sufficient to define ‘life’. 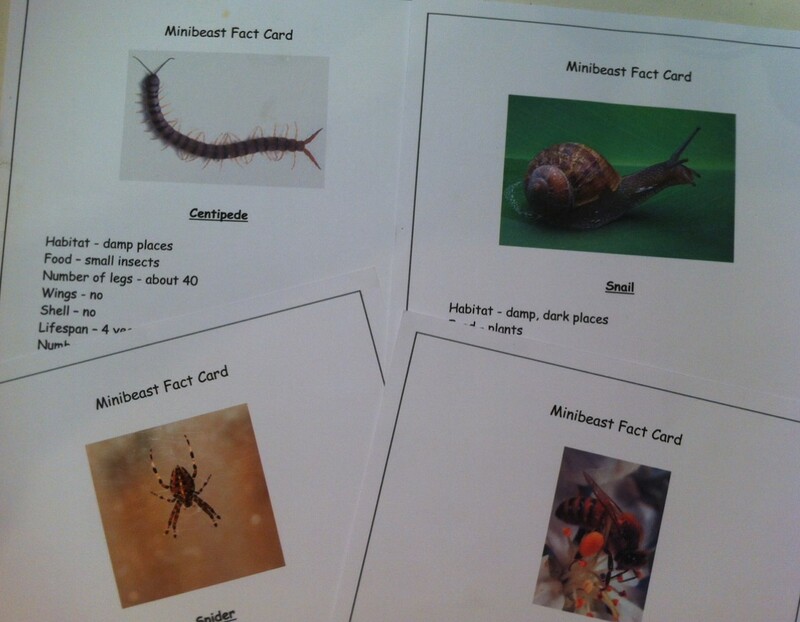 The older group also did the classification activity with minibeasts, and I introduced them to the idea of levels of classification – domain, kingdom, etc. all the way down to genus and species. Next week is our mini bush walk, so I told them to start to think about how living things depend on each other for survival. We didn’t have time to do a food web activity but we can do this after going on our excursion. There was a lot of talking in these classes! I liked the sorting activities but I think in future years I will try to provide more hands-on activities. Some children love debate and discussion, but many children don’t like being asked direct questions and would prefer to absorb information and reflect on it themselves. I do try to provide opportunities for different children to learn about science, so there will be some fine-tuning of these classes if I offer them again. Nevertheless, I think all the children had fun and I was really looking forward to the next class in this series – our bush walk. If any of your children want to explore these ideas further, I found some downloadable worksheets from the Sea Life Centre. I think I will be using these with my marine-biologist in waiting. There’s also the Wellcome Trust’s Tree of Life interactive and video, neither of which I have explored properly, but they both look fantastic.